Welcome to 2016! Many signs point to an initiatory year full of inspiration, challenge and radical change. In hindsight, December symbolized this kind of energy and the following twelve months promise more of the same. Moving into a new year (or anything new for that matter), it’s always best to be proactive and begin an endeavor with clarity, intention and a willingness to learn and change. Otherwise we become entangled in our old patterns of inertia, resistance and fear, more easily reactive to the confusion in our environments. Let’s take a look at a few themes so we can navigate the year with as much mastery, amusement and trust as possible. 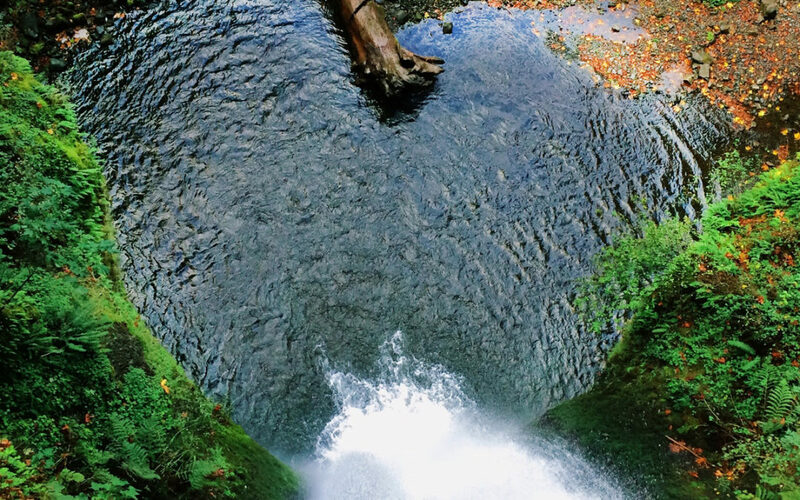 2016 is a watery year and all about the heart, the seat of our emotional intelligence. Emotional intelligence is the ability to be accepting and fluent in our ability to experience feeling. For some this way of communicating is second nature but for many others it requires more dedicated practice. Collectively, there’s an imprinting to only seek out ‘good’ feelings and an attempt to banish ‘bad’ feelings, sweeping them under the carpet. In reality, this is being stuck at the emotional maturity level of a child and doesn’t lead to freedom or liberation. As we evolve, it behooves us to learn the nuances of a wide spectrum of emotion by accepting and honoring our feelings, without attachment or aversion. Feelings and emotions afford quick assessments of the present moment and provide a stronger bandwidth to Spirit than our mind and thoughts could ever hope to match. We’re going to need that speed of direct knowing this year as the mind will struggle to keep up with the pace of change. The energies arriving are ultimately teachers, helping us to feel (and heal) more deeply than ever before and assist in dissolving boundaries of belief, perception, habit and structure that are erroneous and limited in nature. This presents a few challenges. First is the age old issue of being stuck in the head, trying to figure it all out, plan, control, strategize and over think your lives and organize reality in a linear way. This is the game plan of the false personality (ego-mind), which keeps us focused away from the heart and the buried feelings that need to be acknowledged and honored. Learn to stop thinking (really, it’s overrated!) with an act of will and surrender to feeling instead. The second challenge is to become overwhelmed by strong, deep emotions without a proper frame of context on how to utilize the message behind the feelings. Here, it’s easy to be swept away and over-identify with the pulses of life streaming forth without utilizing discernment of what is true or untrue, what is your energy or another’s and/or repeating the feelings again and again when they should have naturally run their course. In essence, don’t try to control or compartmentalize your feelings, nor identify with them. Instead, deeply feel them and intend they teach you something about yourself. If you do this, it will lead you on an epic journey into the inner domains of the heart. 2016 is a high frequency year, which means there will be an etheric, ungrounded and quicksilver-like sensation to our experiences. This isn’t a slow, plodding, linear time frame. If you are attached to a specific routine, need a lot of external stability or are overly stubborn in nature, know you’ll have to be more flexible and yielding than usual. Everything can shift in the blink of an eye. One moment you can be deeply content and satisfied and the next plunged into your own personal dark night of the soul. It’s our responsibility to not take any of it personally, especially when those we love display extreme and outlandish mood swings and odd behavior. This high frequency energy can be very inspirational and visionary if you practice the art of being heart-centered. Devotion to our dharma (life-task work), selfless service to our fellow brothers and sisters, wondrous deeds of reciprocity for the environment and a passionate drive to self-actualize are all possibilities this year. In addition, one of the most sublime qualities for 2016 is a greater access to the inner muse. The inner muse is the part of our soul that inspires us to create, to dream and to express through various creative mediums (such as art, music, science and ceremony). You may feel turned ‘on’ like a channel of creative energy and focused towards various projects and goals that require inception, expansion or completion. The key to unlock the muse is to become heart fluent, to accept and listen to its wisdom and be open to receiving inspiration from mysterious sources. Dreams are often the language by which the inner muse communicates, so pay attention to them. There’s a real possibility that your life can take a quantum leap forward in 2016, provided you are proactive with the energies available and have a daily practice of some sort. As an exercise, project yourself to this time next year and imagine all the awesome growth and magic that has taken place. Dream big and in a grandiose fashion. Unfortunately, deep feeling, guidance and inspiration is often not enough. An essential part of being on the planet in a physical body is the action component. In 2016 you must take inspired action and muster the courage to follow through on the teachings being revealed. Failure to do so often leads towards greater suffering and disconnection. So, if you hear a voice during meditation advising you to call a person, do it. If your dreams show you taking an adventure you’ve been needing, do it. If you become overwhelmed by deep feelings, stop and take the time to honor them and explore their source. If you feel called to organize a community gathering and do something for an environmental cause, step up. If you feel an overwhelming impulse to sing, draw or dance, express it without delay if possible. Courage is pivotal. Courage is a heart quality that galvanizes us beyond our fears and insecurities. 2016 could be very volatile and you’ll have to wade through your fears and the fears being amped up collectively. Make sure you don’t become paralyzed or stuck like a deer in headlights. Stay inspired, listen to your heart and take action. Courageous action speaks louder than words. This is not a year to feel ‘good’ or ‘bad’, rest on your laurels, mired in your fears or continue to talk about your dreams and aspirations in some far off future tense. Instead, choose to courageously move onto the game board of life and fully commit to playing the game. Inspire yourself to new levels of maturity, empowerment and confidence; become a gamemaster so you can be a greater force of wisdom, light and compassion in the world. It is so needed at this time in history. We look forward to offering additional articles, offerings and events which may serve you as we travel deeper into the mystery of 2016. As always, let us know if you require help or assistance along the way.